Even though I don’t talk about it a great deal, I am not a huge fan of summer. Sure, I love swimming and the sunny weather, but that is about where it stops. I am not a fan of hot temperatures or my family’s major nemesis – the mosquito. It feels like every time I step out of the house, my husband and I might as well be an all you can eat buffet for mosquitoes. When Ivi was added to the family, we knew there would be more frequent potty breaks outdoors, something both of us dreaded. Instead of just accepting that we were going to be eaten up all summer, I decided this was going to be the year we took back our backyard and make it as mosquito free as possible. During my research, I found there was a simple, cost effective solution that seemed perfect for our household – yellow LED bulbs. Looking for a quick way to get rid of mosquitoes and unwanted bugs around your house? While most of us know that we shouldn’t keep standing water around our house, very few of us know what other things we can do to control unwanted insects, especially if we want to spend time outdoors with pets or kids. While citronella candles work well, they aren’t perfect, especially if the scent keeps you and your guests away from the backyard as well. What many people don’t know is there is an easy solution that that not only helps fight back against bugs, but is more cost effective as well – using yellow LED bulbs. 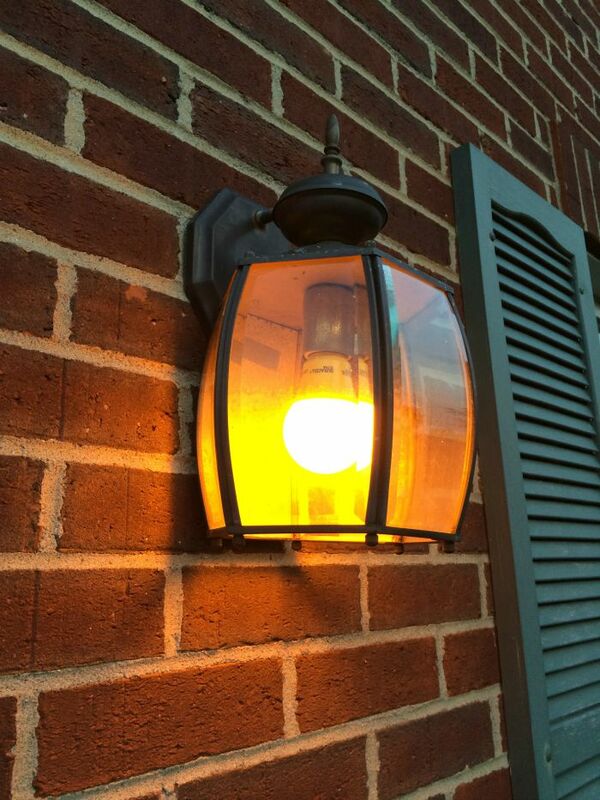 These yellow tinted bulbs have been shown in studies to keep bugs away on their own, and even more effectively when paired with other mosquito repelling methods (for those who aren’t bothered by citronella candles). 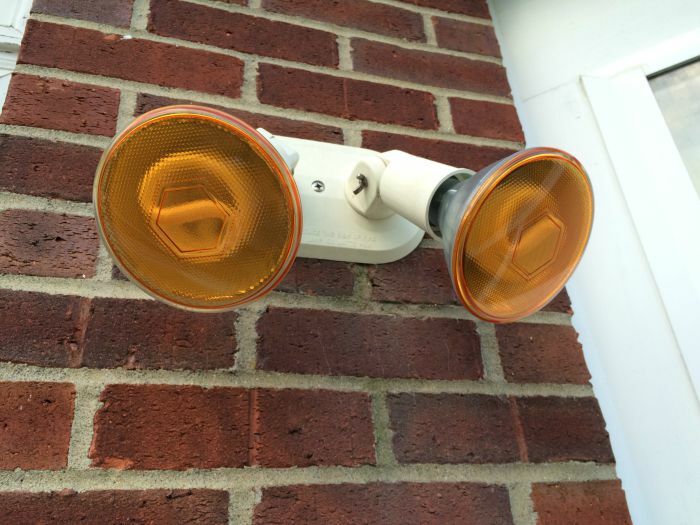 Of course, yellow LEDs are great at repelling another summer pest, too – high electricity bills. For example, the Duracell Ultra 15 W bulb has been shown to save 86% more energy when compared to traditional bulbs and lasts for up to 20 years. With the yellow variety of this bulb, you can enjoy a brightly, yellow lit yard that not only looks cheerful, but keeps the bugs away! Really, I have to say I am very impressed with these bulbs. When I first saw the bulbs themselves, I can honestly say I was a bit skeptical. Other than the tint, they looked like your traditional light bulb, and the yellow was very different than what we are used to seeing outside. Once the sun started going down, however, we got to see just how amazing these bulbs were first hand. Normally, bugs gathered around our front and back door lights as soon as the sun started setting, and beetles could be heard hitting against the glass throughout the night. As well, on muggy summer nights, we also have annoying mosquitoes hanging out, ready to bite the moment one of us steps out of the house. Our test bulb is in the front, the Duracell Ultra 3 Watt LED bulb. As you can see from the images, it produces a pretty yellow light. More importantly, however, our usual bugs were nowhere to be seen. We stood out there for quite some time and weren’t bitten once. Later in the night, we went out again to bring the dogs out for a potty break and hung around the lit area, admiring the sudden absence of moths and beetles. If you don’t have the money for LED bulbs, don’t worry – yellow CFLs work just as well! In the back of the house, where we used the Ecobulb 100 Watt equivalent CFL bulbs, we had similar results. Bugs that are normally swarming our back door were nowhere to be seen, allowing us to have a bit more playtime with both Reya and Ivi after work. Really, I can’t think of anything better than a mosquito free yard, especially with how wet summer has been this year. 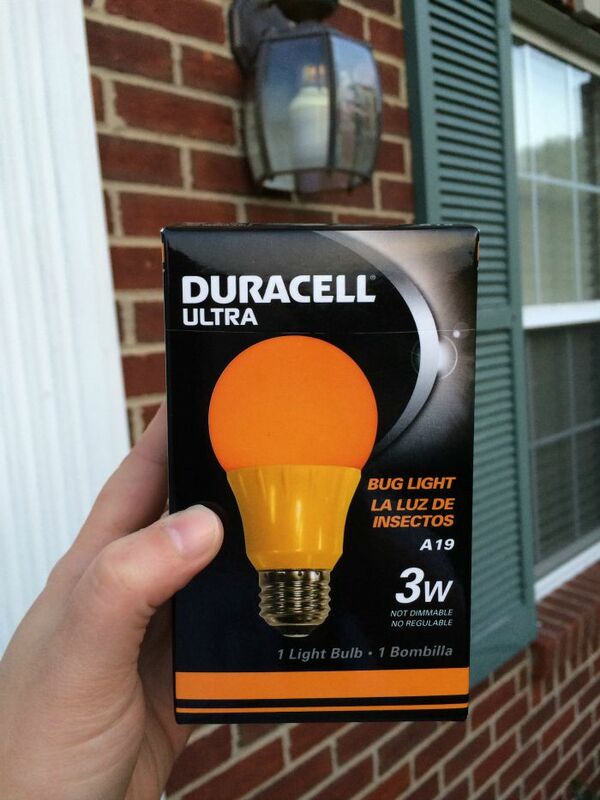 Based on our own experience, we have to say we are big fans of yellow bulbs, especially the Duracell Ultra and Ecobulb, and highly recommend these bulbs to anyone looking for ways to get rid of mosquitoes this summer! Where to Purchase Yellow Bulbs? Want to purchase some of the awesome bulbs featured in this article? Take care of all of your lightning needs this summer to create a bug free backyard at your local Batteries Plus Bulbs. Make sure to talk to your local store expert to get their recommendation on what lights you need for your own lawn this summer! Want to learn more? 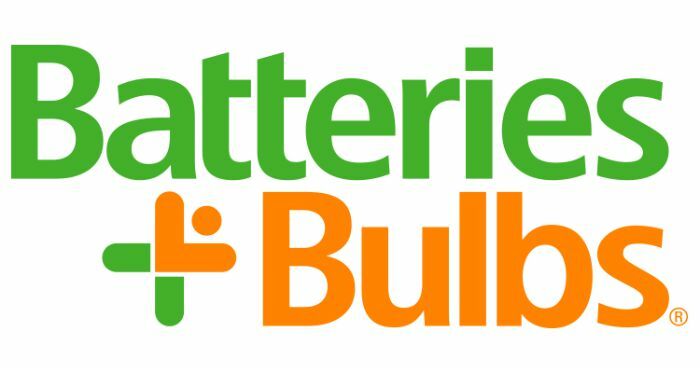 Check out Batteries Plus Bulbs on social media! I too don’t like the heat and humidity. But the bugs, they attack as soon as I walk outside! I have heard of these bulbs, but didn’t think they’d work. I would now give them a try and actually sit out in the evening. Ugh….I’m right there with you on the summer heat and skeeters. I am always looking for new non-toxic methods to keep them at bay. Thank you for the great post….I will definitely be buying those. this is brilliant! I’m off for some of these yellow bulbs! This is a great post! Def gonna try this out! I’d never heard of these. Thank you for posting about them! The mosquitos are BAD in Texas, so we’re always looking for ways to combat them! Will definitely have to check this out so I can be able to sit outside and relax without having to use a bunch of mosquito repellent, thanks for posting! This is so cool! We totally need these where we live as there a lot of bugs. Duracell is a trusted company, and we go to the store, Batteries Plus, all the time! Sounds like a perfect fit. WHOA! I remember seeing the yellow lights when I was young. I didn’t know they came in LED now. Thanks for the great post. We have to be so careful about getting bit by bugs, finally a chemical free alternative. I thought that the yellow bulbs were effective, but I don’t see them as much as I used to. Thanks for the great review. Great to know as we walk out the doir at night bugs everywhere. .will be replacing. . 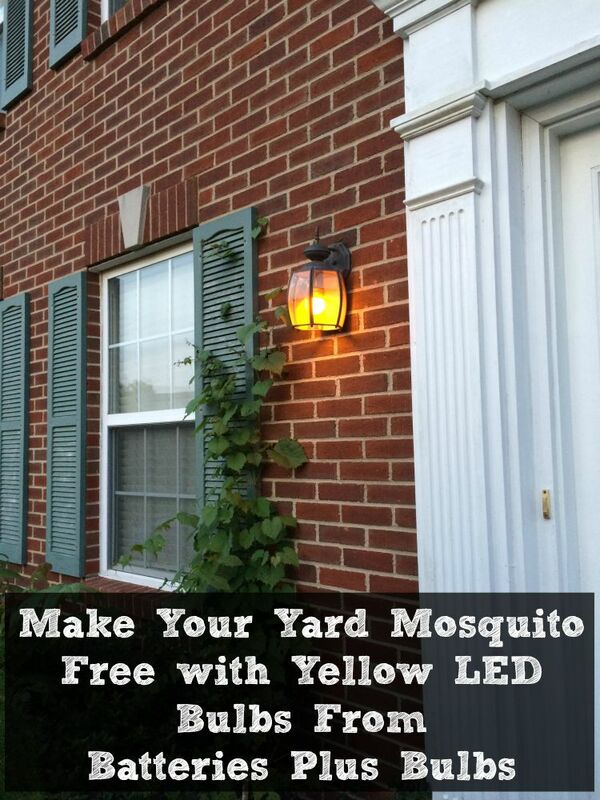 These yellow bulbs sound amazing, a definite must have for anyone who has trouble with mosquitoes. Thank you for sharing this review. Sort of looks like the ones I bought at Walmart.They also are not anywhere near as expensive! I need to try this, I live in Florida so the bugs are awful. My family and I have the same problem. Not being able to go outside and relax because it’s like they lay in wait to feast. Thanks for the post & pics. I’m definitely going to try these lights. Anything to take our porch back. I have never heard of these bulbs. What a great idea! And we sure need these right now in south central florida rainy season. I hate opening up the front door at all when it gets near dusk because I don’t want any of those bugs in my house. Thank you for sharing. I had no idea. It has been so wet here you can’t venture out after dusk. I will have to give yellow bulbs a try. I love this idea! We have such a huge mosquito problem in my backyard, you have to go inside around 8:30pm or get eaten alive! I didn’t know they made LED yellow lights. I will have to check these out. I don’t like how many bugs we have, especially at the doors, and this would help minimize that. 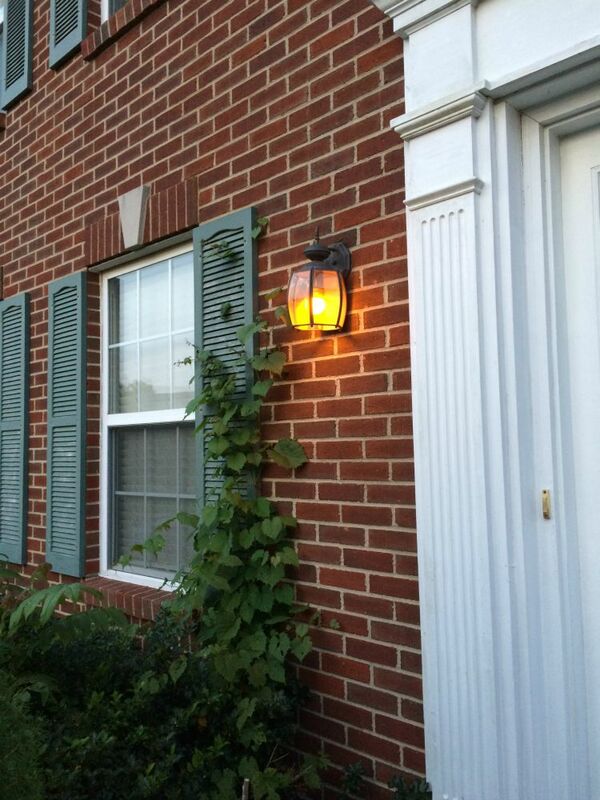 I didn’t know about yellow bulbs keeping insects away. I’ll get 2, one for the front door and one for the back. Mosquitoes are eating me alive and this is just what I need! I’m off for some of these yellow bulbs! We could really use these this year, they are pretty bad with all the rain this summer. Mosquitos are a real problem where I live. I would love to try this bulb! I don’t have a yard (just a balcony), but I have GOT to tell my sister about this! She is having a big mosquito problem in her back yard. Thanks for the info!! It’s nice something so easy can make the mosquitos go away. I’m bit 40-50 times a day and I’m indoors. Mosquitos search me out. knew there was a light bulb that would keep mosquitos away. I would love to try these out. I wonder if they work on the other pests we get around our lights.